Maintaining your car plays an essential part in its safety. 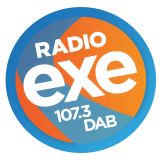 Radio Exe has teamed up with Riverside Motors, a Bosch Car Service Garage, to make sure your car is a safe and healthy car. Come and see us at Otter Nurseries, Ottery St Mary this Saturday (3rd October) between 11 & 2 for a cupcake as well as your chance to win a free major service, a Bosch Tassimo Coffee Maker, Otter Nurseries Gift Vouchers plus some Bosch Toys for the kids in the free prize draw. Your local Bosch Car Service Garage supports the work of the charity BEN.